Originally COVER was targeted to automate only the Test Design process. But soon it became clear that bigger effects would be accomplished when the "input" of the Test Design activities are organized more formally. 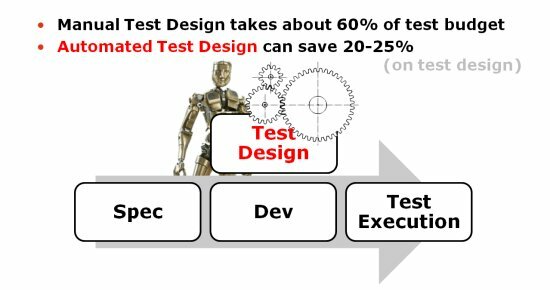 For instance, when the design teams use models to specify the information systems, test generation can have a HUGE effect on the "time to market" of the complete project (see Step 2; next slide).